The American Institute of Architects (AIA) has announced the winners of their 2017 Innovation Awards. 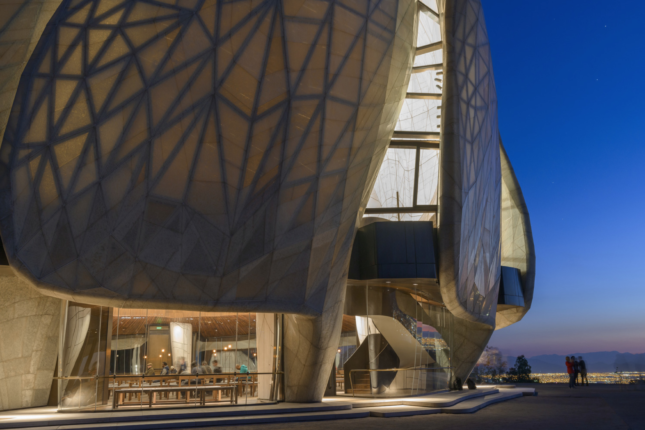 This annual recognition by the AIA’s Technology in Architectural Practice Knowledge Community honors architects and designers for the implementation of new practices and the innovative use of technology in the built environment. The awards are divided into five categories: Stellar Design; Project Delivery & Construction Administration Excellence; Project Lifecycle Performance; Practice-based or Academic Research, Curriculum or Applied Technology Development; and Exemplary Use in a Small Firm. 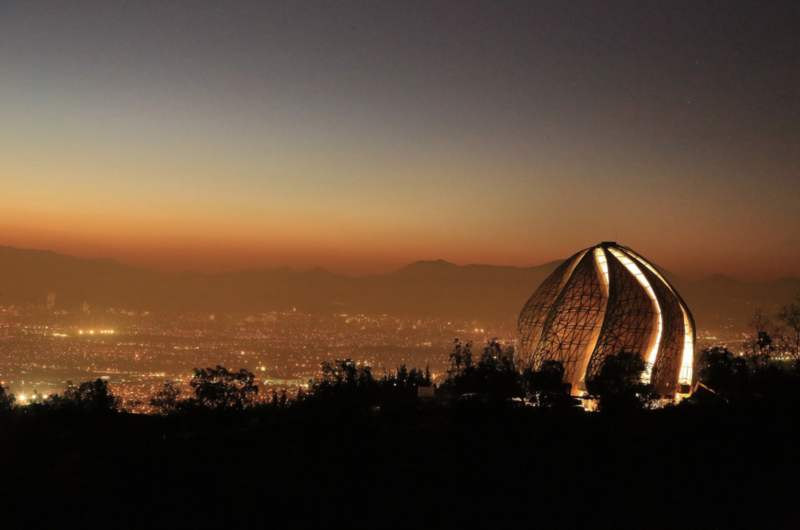 The Bahá’í Temple of South America, designed by Toronto-based Hariri Pontarini Architects, is honored for Stellar Design. Located on the outskirts of Santiago, Chile, the design of marble and glass paneling focuses on the interplay and reflection of light, both within and outside of the temple. These glass panels were developed specifically for this building through machine-to-machine fabrication technology in order to create their irregular shapes and unique light-capturing qualities. During the day, natural light reflects into the dome-shaped glass structure, creating a stellar lustrous performance. At night, the opposite happens, the light from inside the temple reflects towards the majestic outside landscape of the Andes Mountains. The temple demonstrates innovation through its material, technological and structural composition, which is designed to withstand extreme earthquakes, a reality of the area. 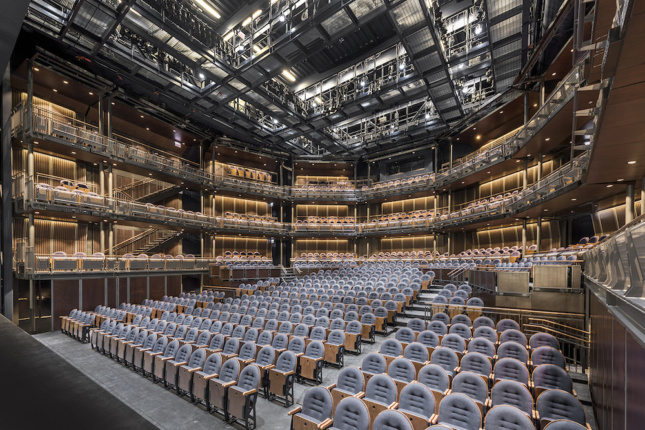 The Yard at The Chicago Shakespeare Theater, designed by Adrian Smith + Gordon Gill Architecture in collaboration with CharcoalBlue and Bulley & Andrews, is also recognized for Stellar Design. The design features an electrochromic facade clad in tinted transformational glass, which is designed to adjust with the outside light, becoming more opaque during daylight hours and clearing up as the sun diminishes in the evening. This technology serves to alleviate the effects of glare and heating from natural light, which reduces energy needs for cooling inside of the building. The performance venue also allows for reconfiguration and flexibility to accommodate different performance types with audience sizes ranging from 150 to 850 people. Garden Village, designed by Nautilus Group and Stanley Saitowitz | Natoma Architects, is recognized under the Project Delivery & Construction Administration Excellence category. Located in Berkeley, California, the design is admired for striking an impressive balance between dense, yet open community living. 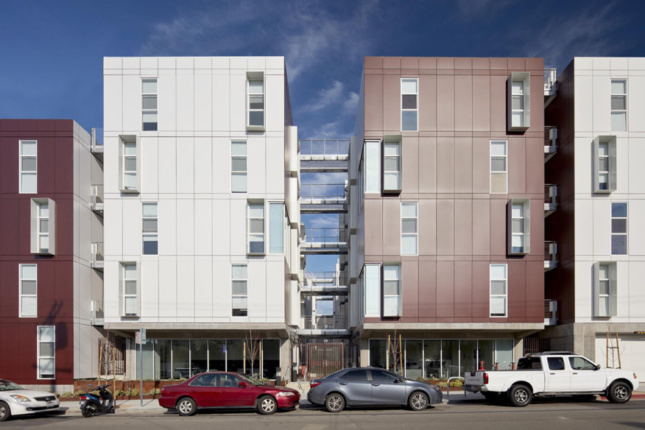 Constructed entirely through modular building technology, the apartment complex is composed of 18 detached buildings connected by a network of walkways and garden areas. Two module types compose the entire project, with every detail refined in full-scale mock-ups as in the automobile industry, allowing for cost savings. This high-density living situation is focused on sustainability and community bonds–no parking spots are provided for the residents, but instead, bike parking, discounted transit tickets, and on-site car-sharing services are made readily available. The individual building rooftops also serve as urban farms and produce up to 16 tons of harvest every year. The Reality Capture Workshop of the University of Detroit Mercy School of Architecture is recognized for their project in Volterra, Italy, under the Practice-based or Academic Research, Curriculum or Applied Technology Development category. 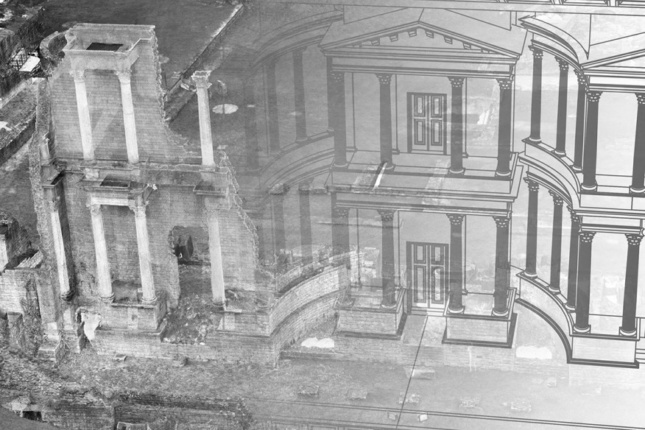 This workshop-style initiative provides a unique international research experience for students and professionals working with innovative reality capture technologies such as 3-D computer modeling, laser scanning, drone and camera capture of historical architecture in the ancient city of Volterra. No winners were chosen for Project Lifecycle Performance and Exemplary Use in a Small Firm. This year’s jury was chaired by Matthew Krissel, AIA, partner at KieranTimberlake, and included Tyler Goss, innovative development manager at Turner Construction; Paola Moya, Assoc. AIA, CEO and principal at Marshall Moya Design; Jeffrey Pastva, AIA, project architect at JDavis Architects; and Brian Skripac, Assoc. AIA, vice president and director of virtual design and construction at CannonDesign.